After nearly 10 years of absence from the stage Phil Collins, legendary British singer-songwriter, gifted drummer, highly successful producer and the voice of British (pop / progressive) rock band Genesis is on tour again; and he will make a stop in Lima in March 2018. 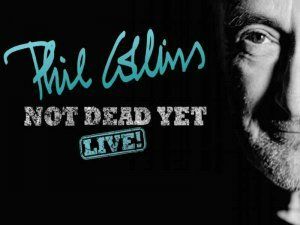 Phil Collins “Not Dead Yet Tour” is named after his autobiography released in October 2016 and the setlist includes some of his most famous solo hits and Genesis classics such as Against All Odds, Another Day in Paradise, One More Night, In the Air Tonight, Invisible Touch and Sussudio to name just a few. One of these rare occasions to see the legend on stage. Tickets: available at Teleticket in Wong and Metro supermarkets or at Teleticket online from December 4.